Recently, reports in Chinese language media of a severe racial attack in the Sydney suburb of Burwood have ignited public discussion on the issue of racial violence in Australia. The victim, Lina, was reportedly waiting for a red light when she was approached by a middle-aged Caucasian man, who made several insulting remarks including "get out of my country," before attacking the victim's face and fleeing from the scene. Naturally, the incident generated immense anger in the local Chinese-Australian community. The offender's actions were motivated by irrational, arbitrary racism. But, he certainly does not represent the attitude of the majority of regular Australians that celebrate our multicultural society. This sort of extreme behavior is unlikely motivated by a substantial understanding of the victim's personal or cultural background. Rather, it can be more accurately attributed to the offender's personal sentiments of dissatisfaction, insufficient level of education, poor character, or personal grievances. Of course, racial violence of any kind must be subject to criticism and appropriate legal repercussions. However, if we are to protect the multicultural values upon which our proud society is built, countries like Australia must ensure that rational media reportage and civil discourse can provide fair analysis of "racial discrimination" cases in order to gain a comprehensive understanding of the motives and goals of the offenders, as well as what is causing this racist phenomenon. On the basis of this, legal and social measures can be better formulated and implemented to reach a common understanding in all corners of society on "what is not OK," prevent the occurrence of such assaults in the future, and maintain peace and stability of our multicultural society. When, in response to such cases, media reports and public discourse become preoccupied with blindly hyping sensationalist statements like "all Australians are racist." Not only does this fail to resolve the issue at hand, but arbitrarily lumping the blame for the irrational actions of one man with another social group also serves to aggravate social division. 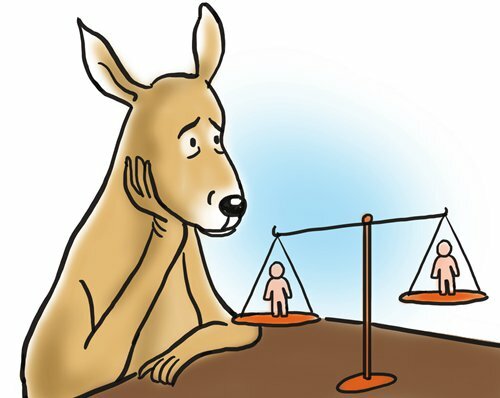 Australia has in fact made significant progress on the issue of racism. From the gold rush era and the "White Australia" policy to the post-WWII multicultural migration policies that shaped the country we are today, Australia has experienced a transformative process, one in which racism is no longer acceptable. Respect for multiculturalism is undeniably part of the fabric of modern Australia. Objectively speaking, the wave of racism is likely attributable to the economic slowdown that unfortunately coincided with the arrival of a large number of migrants from a diverse range of backgrounds, which increased the risk of "cultural conflict" and occurrence of racial violence in some areas of society. For example, 20 years ago, the right-wing One Nation party headed by Pauline Hanson received little recognition as a serious political force. In light of the global trend of protectionism, she and others have found their place in the mainstream political arena and exploited the opportunity to promote and standardize racist opinions and policies. Regrettably, this is evidence that there is indeed support for these sentiments in Australia, and most likely, indicates that this group is expanding. Apart from the aforementioned social trends, irrational social discourse in response to extreme outbursts of racial violence only adds fuel to the fire. We need to do more to raise comprehensive awareness at the social level, at the same time continually improving our legal system and legal awareness. Apart from the recent anti-racism initiative promoted by the national broadcaster SBS, efforts in raising awareness of the severe consequences of racism in the media leave much to be desired. Perhaps, this is where Australian society should make an effort to combat the rise of extremist opinion.